Founded in 1992, Softpro Computers has been imparting Computer Courses to some of the largest Multi-National Companies in India, we are a leading computer training institute in Mumbai. 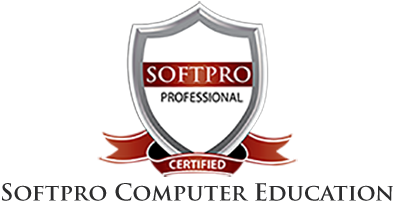 Softpro is an Internationally reputed Computer Training Institute of Mumbai, with over 15,000 student base and 27+ years of reputation for imparting Quality Education in 43 different Computer Courses. We aim to provide e World Class Learning Environment in Latest Software & IT Computer Courses. We are proud to have one of the best set-ups in the Industry with a strength of over 100 State of the Art Computers. Quality Education Since Last 27 Years ! Undoubtly the Best Computer Training Institute in Mumbai. We offer Fast-Track Computer Courses to students who wish to complete their learning in a short period. We have High Emphasis on Projects and Live Assignments. Do visit us. Autodesk 3DS-Max, Corel Corporation, Adobe. Concept of: More YOU Learn, Less YOU pay ! Friendly, Supportive, Patient & Qualified Faculty. We teach in English, Hindi & Marathi. Most of All, Value for Money. With over 15,000 student base and 27+ years of reputation for imparting Quality Education in 43 different Computer Courses. Recognized by Maharashtra Knowledge Corporation Ltd. Address: B/2,Vimal Udyog Bhavan, 1st Flr, Nr BPL Mobile Off, Opp. STARCITY Cinema, Near Mahalaxmi Society, 5 Min Walk from Matunga (West) Station, 10 Min from Dadar West Station (Come from the Dadar Phool Market towards Ruparel College), Mumbai- 400016.